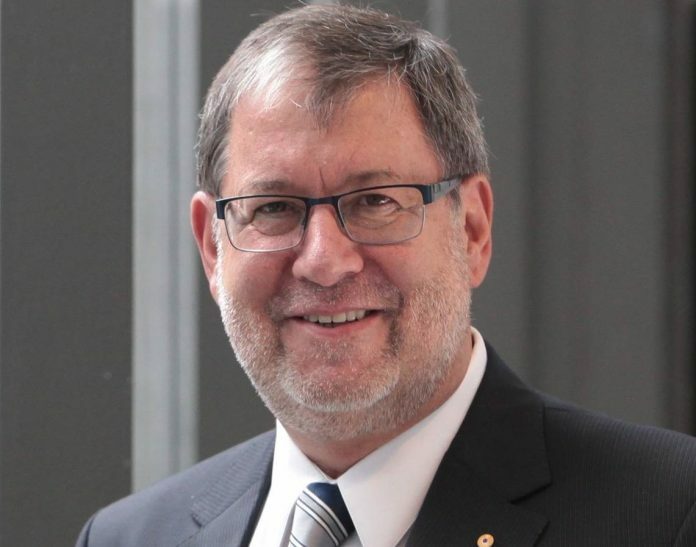 Prof. John Mattick, Ph.D., a global genomics pioneer who has served as executive director of Australia’s Garvan Institute of Medical Research since 2012, has been appointed the first CEO of Genomics England, the U.K. Department of Health entity created to run the 100,000 Genomes Project. Mattick will assume executive responsibilities held by Genomics England’s executive chairman Sir John Chisolm, since the entity was created in 2013. “We were clear from the outset that we would seek the best candidate—irrespective of nationality—to ensure the success of genomic medicine in this country. Professor Mattick is that candidate,” Sir John stated. At Genomics England, Mattick’s key objectives will include shaping and overseeing a strategy to fulfill the potential of genomics in the U.K.; partnering with the U.K. National Health Service (NHS) to build relationships with patients and the public; furthering genomic discovery; and working with genomics stakeholders across government, academia, and industry. Mattick’s seminal contributions to molecular biology include delineation of the architecture and function of the fatty acid synthase complex; development of one of the first recombinant DNA-based vaccines; and genetic characterization of bacterial surface filaments involved in host colonization. His work has focused on detailing the extensive RNA regulatory system that organizes human development housed within the human genome. Mattick’s career in genomics stretches back to 1988, when he was named Foundation Professor of Molecular Biology at the University of Queensland, where he was also foundation director of the ARC Special Research Centre for Molecular and Cellular Biology, the Institute for Molecular Bioscience and the Australian Genome Research Facility, as well as ARC Federation Fellow and NHMRC Australia Fellow. He spent sabbatical periods at the Universities of Cambridge, Oxford, Cologne and Strasbourg, before returning to Sydney to lead the Garvan Institute. Four years later, Garvan’s Kinghorn Centre for Clinical Genomics partnered with NSW Health Pathology, the country’s largest provider of public pathology services, to launch Australia’s first clinical whole-genome sequencing service, Genome.One. Mattick has been an advocate for applying genomics through precision medicine in Australia. In a commentary published last year in The Australian, he and Branwen Morgan, Ph.D., then a Garvan Institute visiting fellow and now manager of Ausgem, The Australian Centre for Genomic Epidemiological Microbiology, called for Australia to sequence the 1% of its population “who are ideally placed to provide early insight into new therapies and have high unmet needs,” as well as form a national body focused on precision medicine. In addition to executive director, Mattick’s positions at the Garvan Institute include Lab Head-RNA Biology and Plasticity, and senior principal research fellow. Among Mattick’s numerous awards are the Order of Australia and the Australian Government Centenary Medal, recognizing his roles in genome research and development of national research facilities. He is also a recipient of the 2011 International Union of Biochemistry and Molecular Biology (IUBMB) Medal, the 2012 Human Genome Organization Chen Award for Distinguished Achievement in Genetic and Genomic Research, and the 2014 University of Texas MD Anderson Cancer Center Bertner Memorial Award for Distinguished Contributions to Cancer Research. Genomics England said Mattick will continue his academic career at the University of Oxford’s Green Templeton College. He has been elected to a Senior Research Fellowship at the College for one day a week, a position that will allow him to continue his genomics research work as well as forge closer ties to U.K. researchers.